WHY GO: The oft-overlooked upper reaches of Vermont, affectionately known as the Northeast Kingdom, or NEK, has farmland, cheese, Bag Balm, and one of the best breweries in the country according to many craft brew fans. 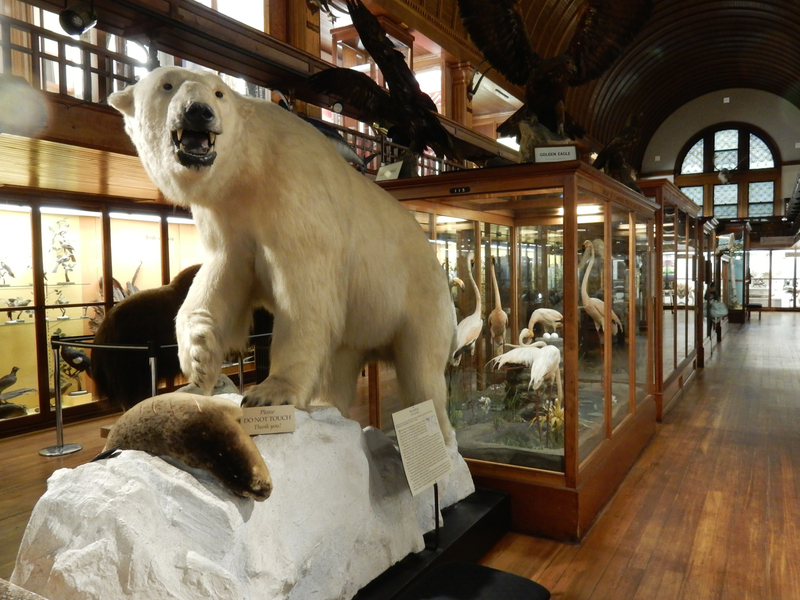 At its center, the city of St. Johnsbury VT holds some classy surprises: a Victorian-age library and Natural History Museum that entice visitors to shove cell phones in pockets and take a closer look. We round out this getaway with a Buddhist meditation center, a Pet Chapel, and one amazing country inn. 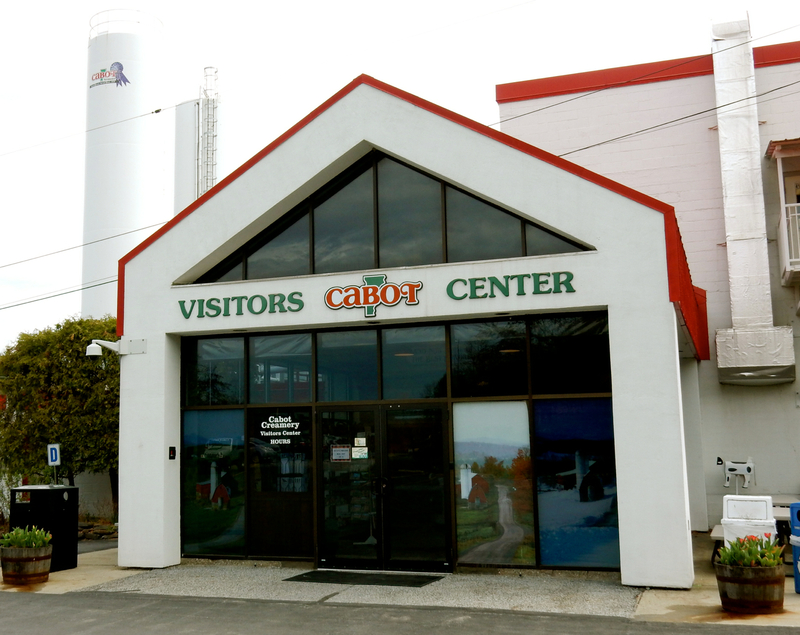 TOUR: Cabot Cheese Factory, Cabot. Crafting good cheese is nearly as complex as making wine, as you’ll discover on this eye-opening 30-minute Cabot Cheese Factory Tour, which begins in the sample-heavy gift shop. 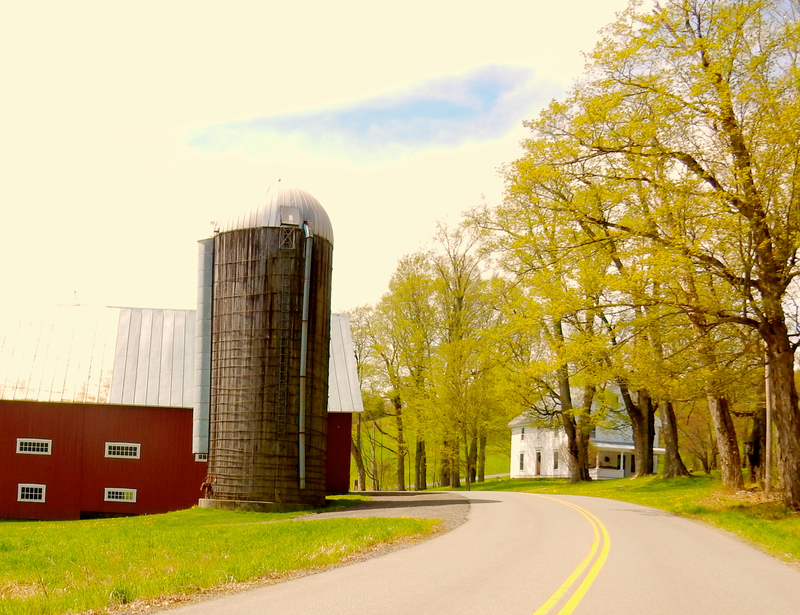 Start with a 12-minute video that provides an overview of the Cabot Cheese Factory, now owned by a farm collective called Agri-Mark, the largest farmer-owned co-op in New England, representing 1,200 farmers. This united front is nothing new here. In 1914, ninety four farmers banded together to form Cabot Creamery, shipping milk and cheese to Boston and down the Hudson River to market. Now, Cabot obtains milk from 300 dairy farms, most within a 90-mile radius. Each batch is checked carefully by in-house scientists who measure protein and butterfat and check for contents that may contaminate or compromise the final product. Watch through large windows as curds (solids) and whey (protein water) pour from large pipes into industrial-sized troughs, where they are separated. Nothing is wasted here – whey water is recycled or dehydrated into powder and sent to developing countries as nutrition-boosters. Cheese-makers cut huge blocks of fresh-pressed cheese into sections, wrap them in plastic and place them in time stamped boxes to be aged. Cheddars age from two months to five years, increasing in sharpness each year. FYI- Monterey Jack is a “rinsed curd” cheddar, Colby is an orange Monterey Jack, colored by annatto (derived from a South American plant); all made here. 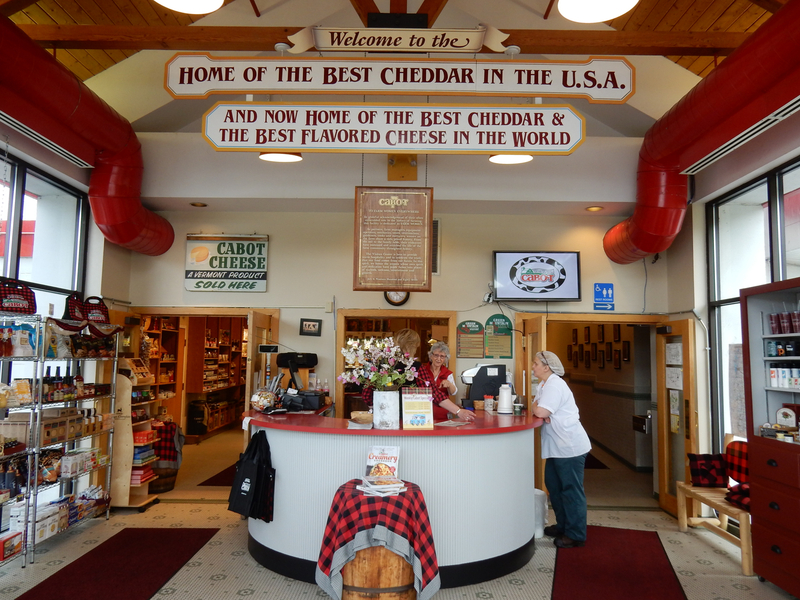 Try the 5-year aged cheddar, Smoky Bacon, Pepper Jack, Hot Buffalo, Horseradish, and any number of flavored cheddars that Cabot is known for before leaving. $3, year round Mon-Sat 10-4. STOP: American Society of Dowsers National Headquarters and Bookstore, Danville. 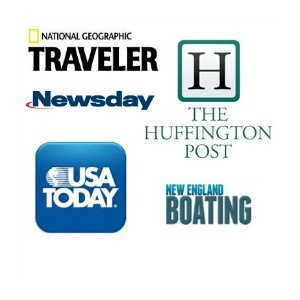 The Getaway Mavens promise “Offbeat,” and we deliver. 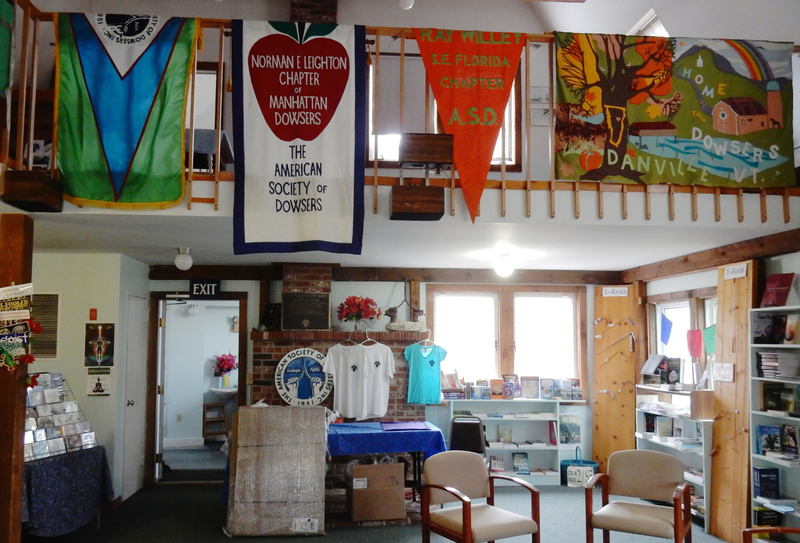 This tiny house is the national headquarters for the 2,000-member American Society of Dowsers, though the public is invited to pop into the bookstore for information, books, or to purchase pendulums ($20 for Amethyst), bobber-rods, brass antennas, L-Rods or any number of dowsing tools. Most lay-people know about water dowsing, but this metaphysical force can also locate “physical or spiritual” problems utilizing “earth energy” and “sacred geometry.” The ASD offers a 2-day Basic Dowsing Course – this year being taught at Skidmore College. Experts maintain that it’s not good form to use dowsing tools for treasure hunting. “Dowsing is more for need than greed.” Bookshop open Mon-Fri 8-4. PHOTO OP: Bag Balm Factory, Lyndonville. 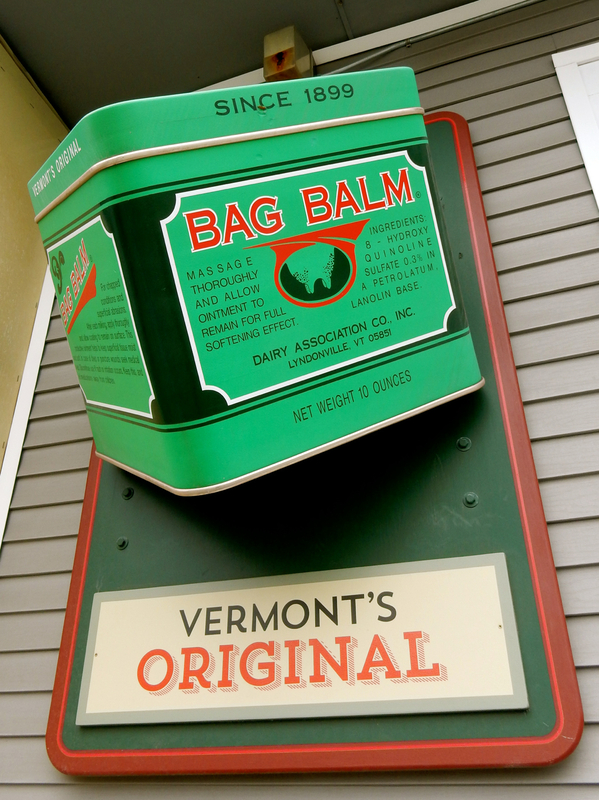 Though the factory doesn’t offer tours, Bag Balm, in iconic green square tins, has been made in the Northeast Kingdom town of Lyndonville since 1899. Years ago, “farmer’s wives started noticing how smooth and supple their husband’s hands were,” after milking cows, and began using the cow-udder-softener themselves. Hardware stores couldn’t keep the product on the shelves. Now, folks use Bag Balm for everything from cracked heels, cuts and scratches, softening dog and cat paws and pads, lathering bike shorts to prevent chafing, and even for waterproofing boots. Growing in popularity, over a million 1 oz. cans are shipped all over the county every year. STOP/PHOTO OP: Museum of Everyday Life, Glover. Right on Route 16, you can’t miss this ramshackle barn that looks as if it will collapse at any minute. Enter if you dare (you may need a hard-hat). There’s a donation box in front, and all signs point to a storage shack crammed with rusted farm equipment, but, surprisingly, that’s not what this is. Someone has put some time and thought into this strange, obscure collection, and it holds some promise, if the “museum” itself manages to hold up, structurally. BREWERY: Hill Farmstead Brewery, Greensboro. 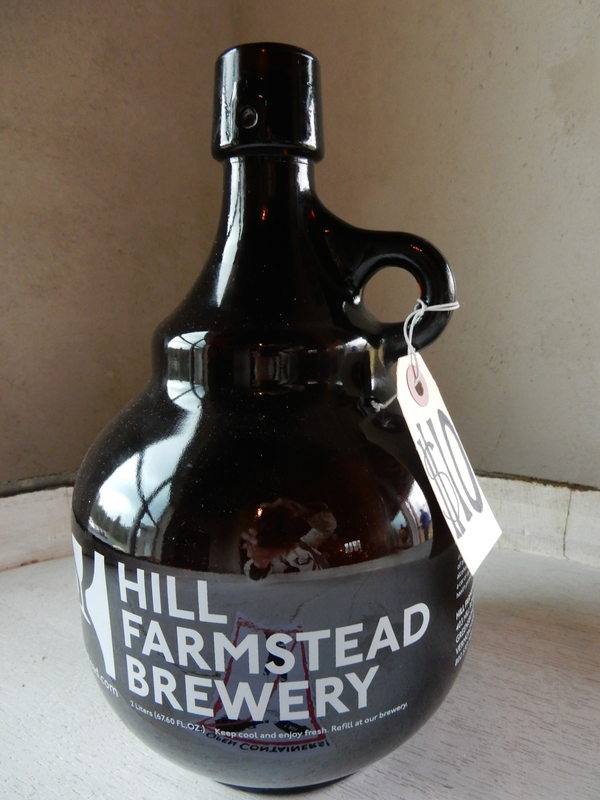 You have to be dedicated to this hot new craft beer to visit Hill Farmstead Brewery. Miles on a dirt road (dusty or muddy, depending on weather), you’ll arrive at the brewery and newly expanded, beautiful tasting room, and will have to take a number. 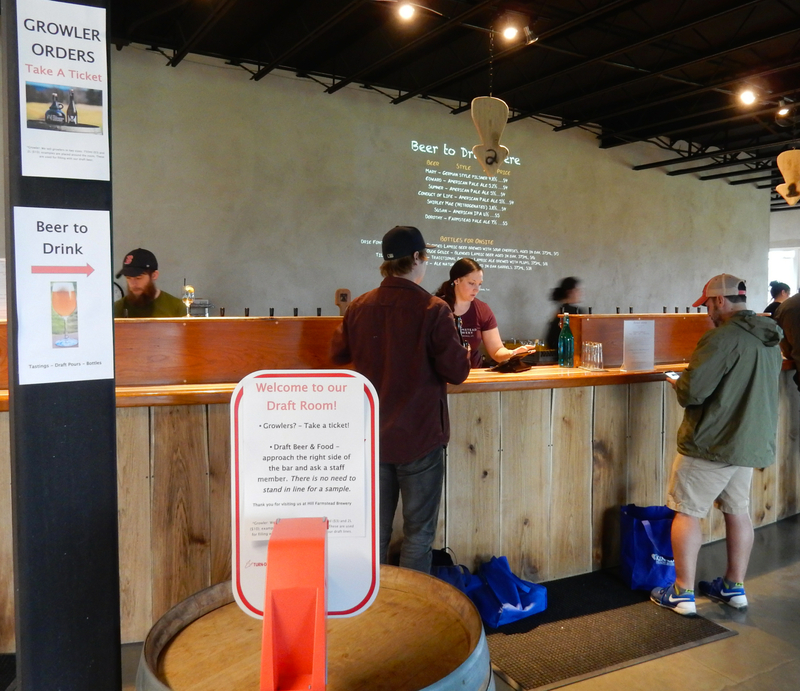 Yes, it’s come to that – in this very remote place in Vermont’s NEK (Northeast Kingdom) – a beer line so popular you’ll have to muscle through dozens, sometimes hundreds of people – to pick up a growler of Edward Pale Ale (97-Beer Advocate) or Susan IPA (99-Beer Advocate). Considered one of the “Holy Trinity” of Vermont breweries (with Alchemist’s Heady Topper and Focal Banger topping the list, followed by Lawson’s Finest Liquids Triple Sunshine IPA), once you get here and taste the goods, you’ll see why. Open Wed-Sat. 12-5. 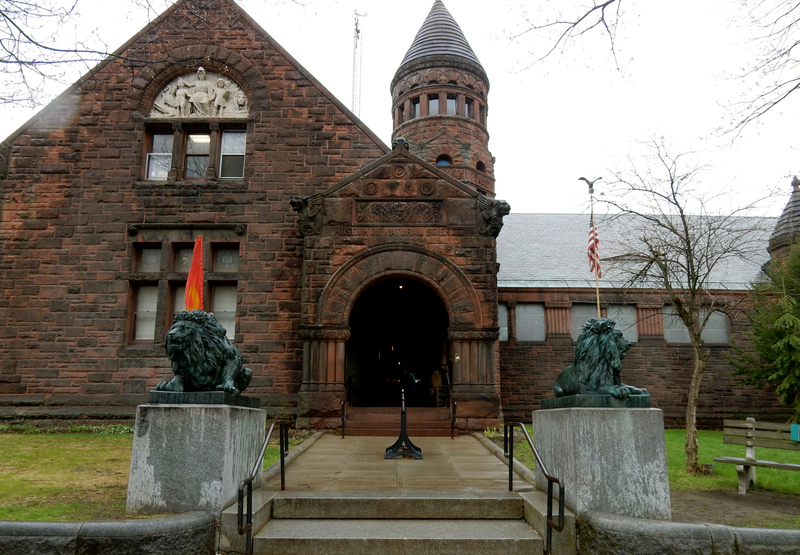 VISIT: St. Johnsbury Athenaeum. Oh, those Victorians sure knew how to study and research with class. 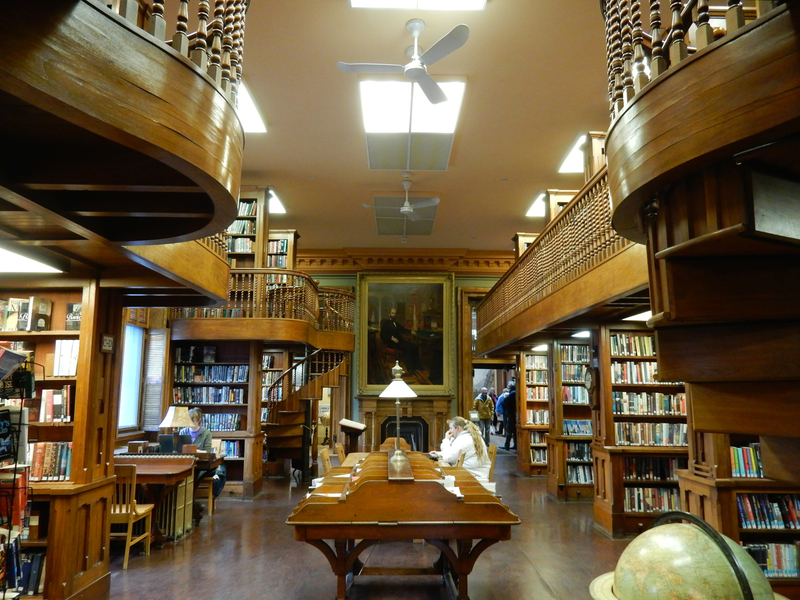 Step into this beaut of a library/art gallery and drink in that 1870’s charm, lovingly preserved. Two story bookshelves, accessed by intricate carved wood spiral staircases, and lamp-lit communal tables entice all who enter to stay awhile; it’s the perfect place to overcome procrastination. 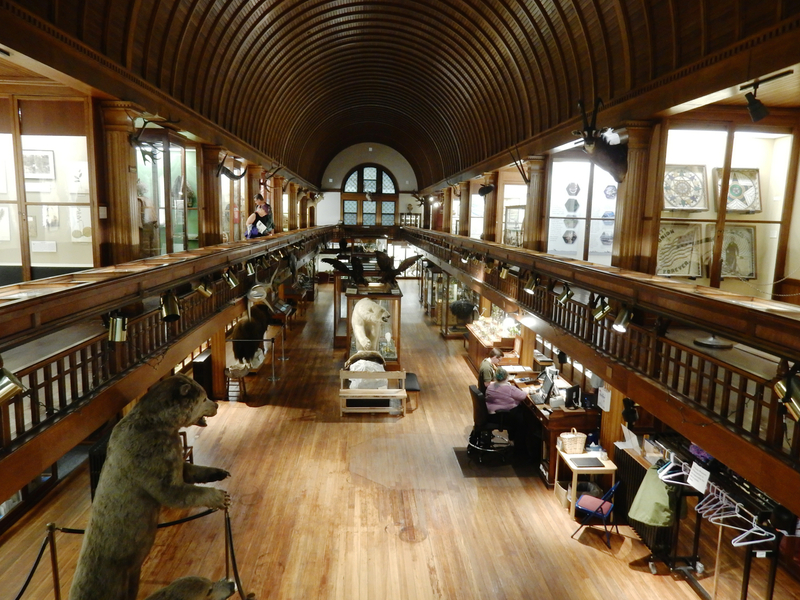 VISIT: Fairbanks Museum of Natural History and Planetarium. As a nearby-New-Yorker, my frame of reference for planetariums is the Hayden at the American Museum of Natural History in NYC. It’s large and fantastic, with celeb astrophysicist, Neil deGrasse Tyson narrating the history of the cosmos. But this intimate “Junior Planetarium” show, with a real astrologist who provides up to the minute information via aps and internet, has got to be the coolest, most engaging program I’ve ever come across in a science museum. One day before my visit, NASA had identified over a thousand potentially inhabitable worlds, and this information was incorporated into the presentation. You can’t get a fresher look than that. Speaking of fresh looks, the Fairbanks also hosts the Vermont radio weather report, Eye in the Sky, which dates back to even before Franklin Fairbanks founded the museum in 1891, when he kept meticulous weather records at home in the 1850’s. You’ll find all the usual mounted animal specimens in glass cases in a beautiful long arched room, with a concentration on local and rare birds – like the Rhinoceros Hornbill and iridescent Resplendent Trogon, and upstairs, artifacts from other indigenous people all over the world. It pays to look closely here – there are some rare finds – including tigers and other endangered species caught mid-intense glare for all eternity. Open daily 9-5, $9 adults, $7 kids under 17. 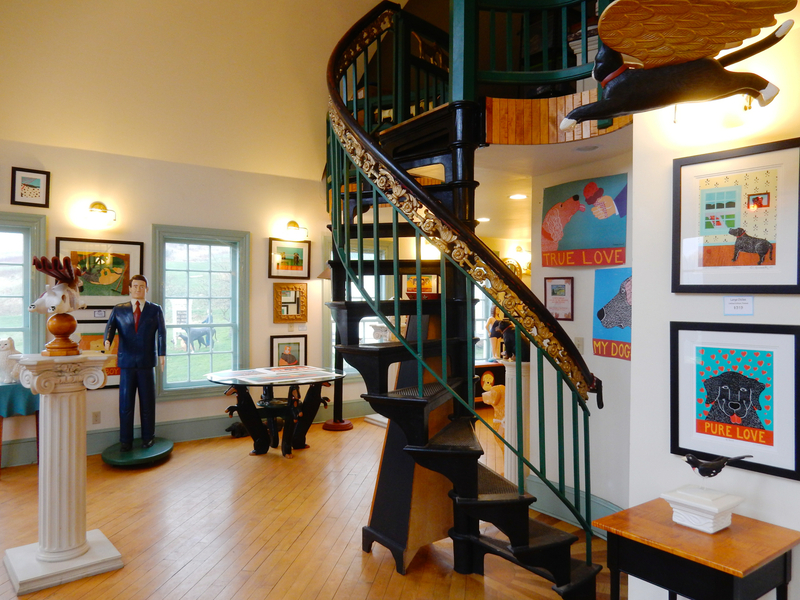 VISIT: Dog Mountain/Pet Chapel/Stephen Huneck Gallery, St. Johnsbury. You will cry, guaranteed. 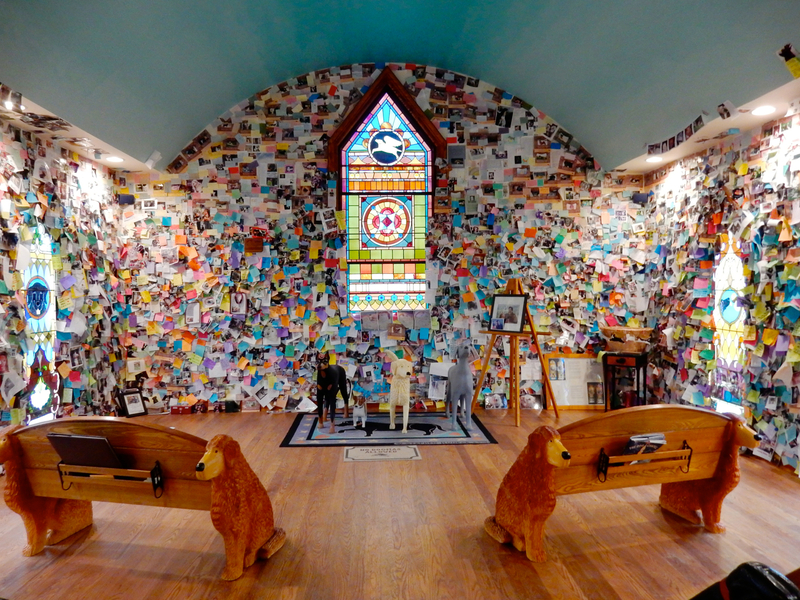 Conceived by artist and author, Stephen Huneck, (who passed away in 2010), the Dog Chapel, has been a magnet for people who have lost beloved pets. Dog, cat, and other animal owners have been leaving notes, leashes, collars, toys, even ashes here since the chapel opened in 2000. None have been removed. So, when you go inside to pay your respects, be prepared to read some and weep. Dog Mountain also encompasses an art gallery featuring Huneck’s paintings, prints and books, and a “leash-free” 150-acre park with hiking trails and swimming ponds for dogs. 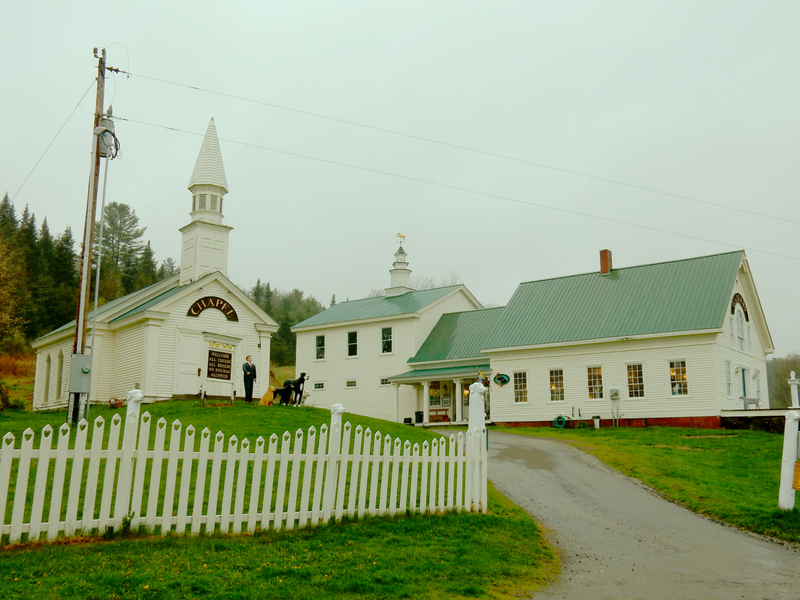 Open year round, Dog Mountain periodically hosts parties and events for animals and their owners, but you can visit any time. The Chapel and gallery are open daily 10-5. 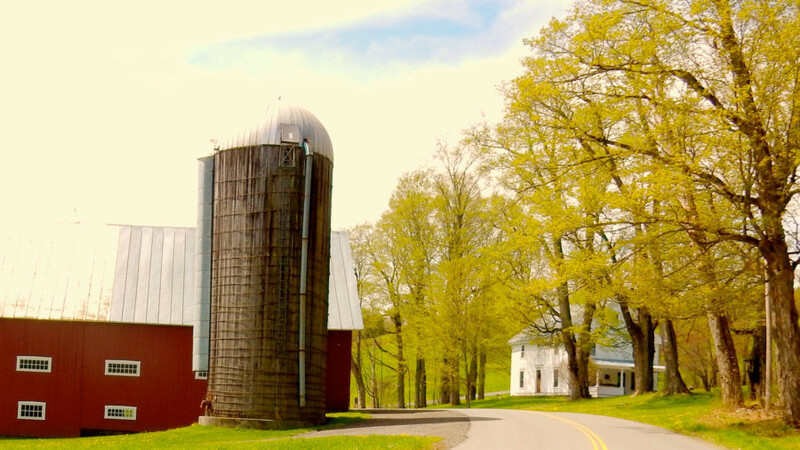 SHOP: Maple Grove Farms, St. Johnsbury. 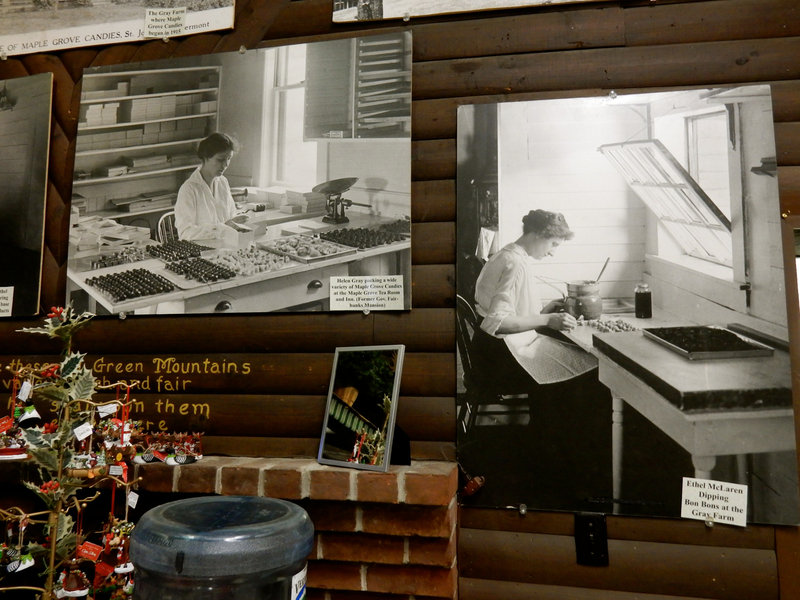 A couple of miles from Dog Mountain, the Maple Grove Farms store is worth popping into if only to honor a business that was launched in 1915 by two enterprising women – Helen Gray and Ethel McLaren. Gray and McLaren, Home Economics students at Columbia University, had an idea to make confections from maple syrup. Their passion turned into a business, and now, Maple Grove is the largest packer of Maple Syrup in the country, and the largest manufacturer of Maple Candies in the world, with Cracker Barrel as their largest account. Maple candies, sold across the USA, are still made on original 1930’s equipment. 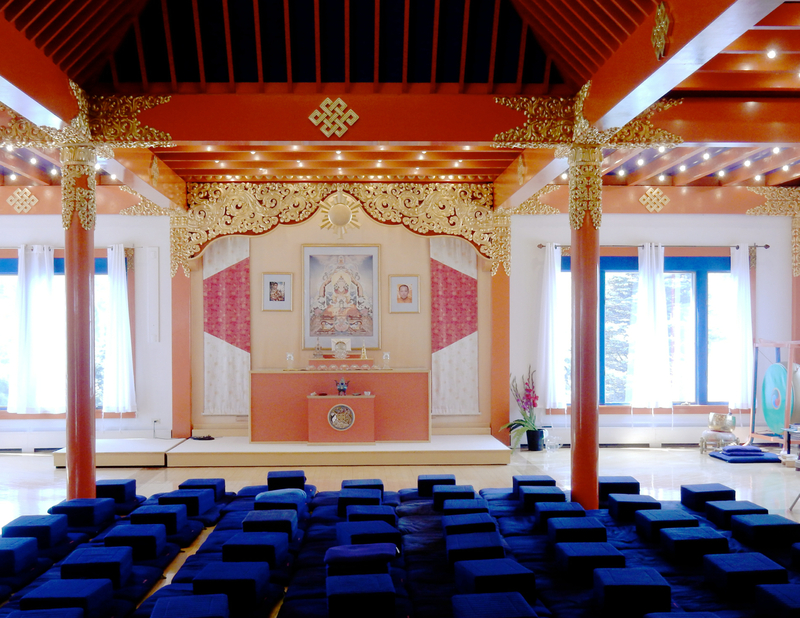 MEDITATE: Karme Choling Shambhala Meditation Center, Barnet. On a dirt road a couple of miles off I-91, this is a “retreat” in all ways. The 30 people who live here full time consider the Center a “true community,” open to the public for weekend to months-long classes. Visitors come from all over the country (most from the East Coast) to learn “Mindful Gardening” (2-days, $275), “Natural Confidence” (One month, $1530), and the rudiments of Shambhala Buddhism. The most popular weekend session, “Relax, Renew, Awaken” ($285), is generally sold out way in advance. Though classes are restricted to those who sign up, the public is invited to stroll the grounds, and enjoy a meal for $7. EAT: Rabbit Hill Inn. A destination restaurant par excellence, food here is innovative and fine for foodies; Big Picture by Executive Chef, Andrew Hunter, executed by Sous Chef, Josh Riach. 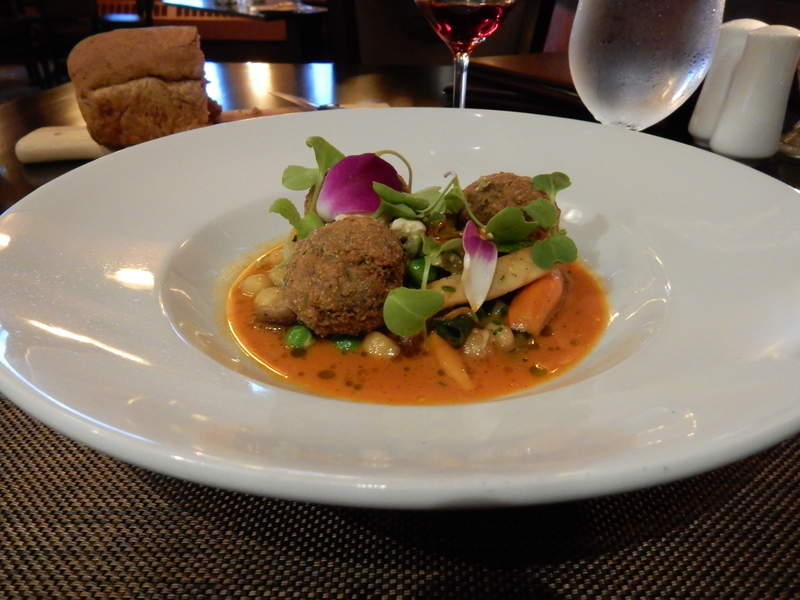 The incredibly tasty House-Made BBQ Duck Sausage ($13) stands in for pork in steamed Asian buns, and Vegetarian options – like English Pea Falafel With Spring Veggies, Braised Chickpeas, and Olive and Feta Salsa ($26) – Spring on a plate – are outstanding. The menu changes seasonally to reflect what is available locally. A very special place. EAT: Besides the Rabbit Hill Inn, locals favor Juniper’s at the Wildflower Inn in Lyndonville for burgers and fish in a rustic and lovely B&B, Café Sweet Basil – also in Lyndonville – a 50’s style hole in the wall noted for excellent food, and Burke Publick House in East Burke, a popular gastro-pub. 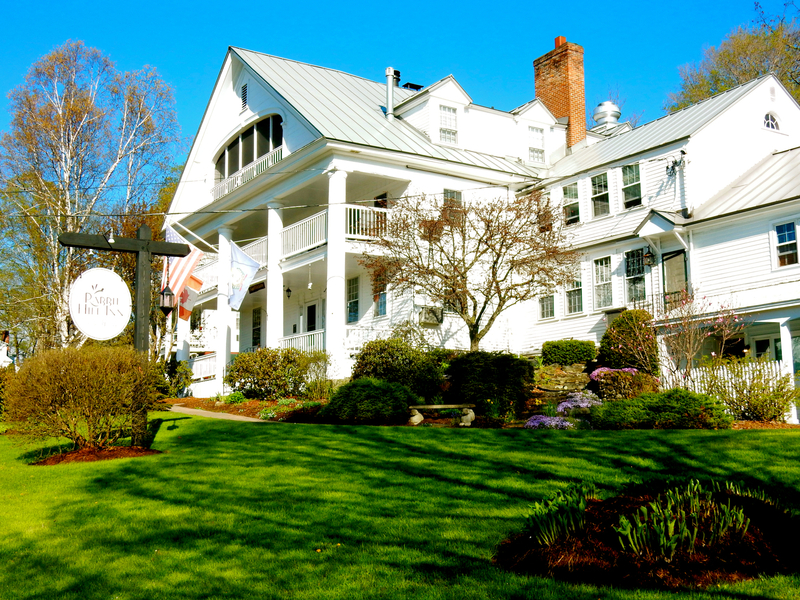 STAY: Rabbit Hill Inn, Lower Waterford. Leave it to the 19-room Rabbit Hill Inn to make log-pine luxurious. The Cedar Glen room, kited out in Adirondack-chic, is an elegant blend of pine and plaid, and one of the most difficult rooms to leave once settled in. But this is not the only reason Rabbit Hill has been among the top lodging establishments in Vermont: any country inn can be prettied up. No, Rabbit Hill is tops due to the owners, Brian and Leslie Mulcahy, who have been here 23 years, and exude warmth and good will that radiates throughout the inn. As a Maven Favorite – read the complete post HERE.